I am an Orlando based artist working primarily with recycled and surplus materials. 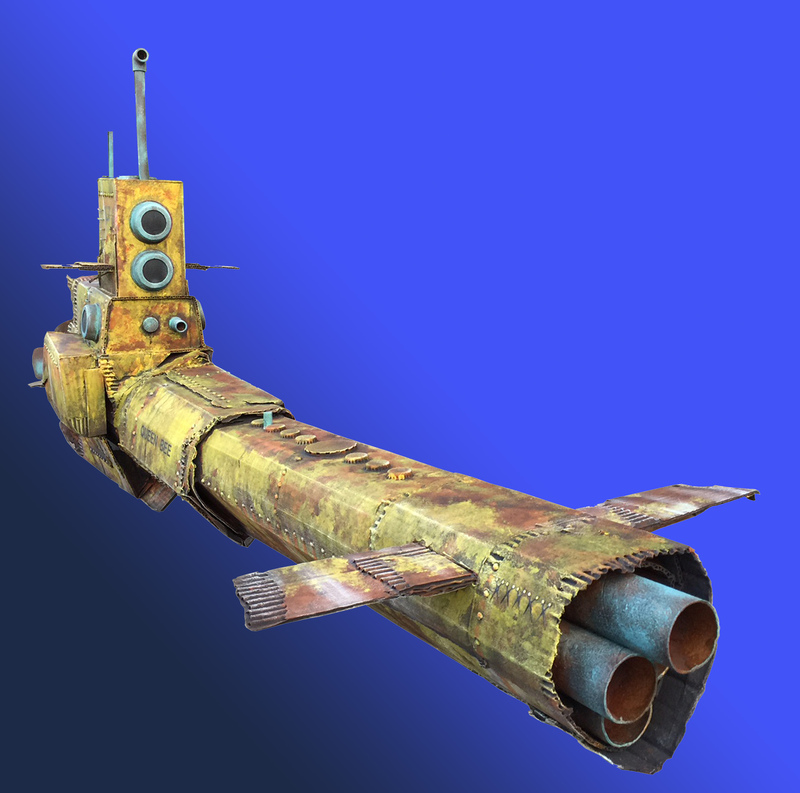 I’ve designed and built everything from jellyfish to submarines, and from giant mobiles to paper forests. 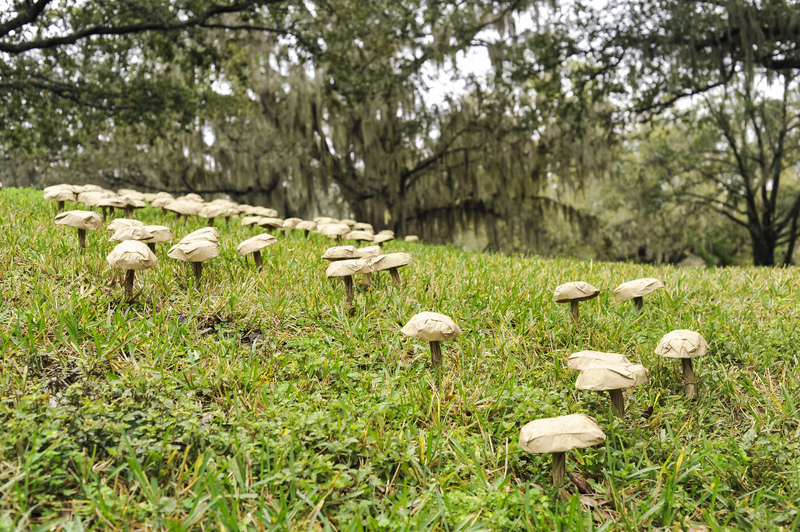 I am best known for my paper bag mushrooms which have been planted on every continent in the world, including Antarctica. 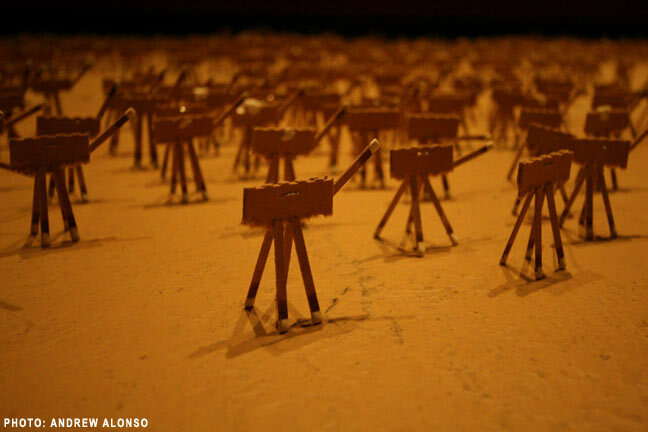 Constructed entirely from discarded cardboard, and surplus items. 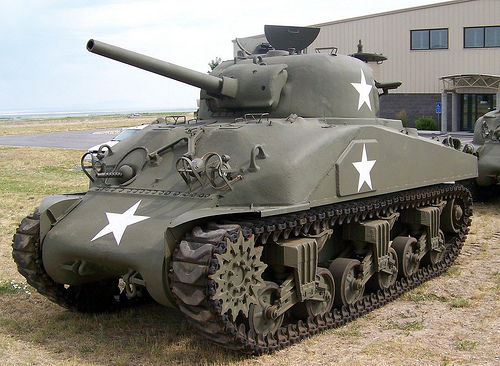 Made from cardboard, surplus parts and wire. Constructed from cardboard and dozens of bottle caps. 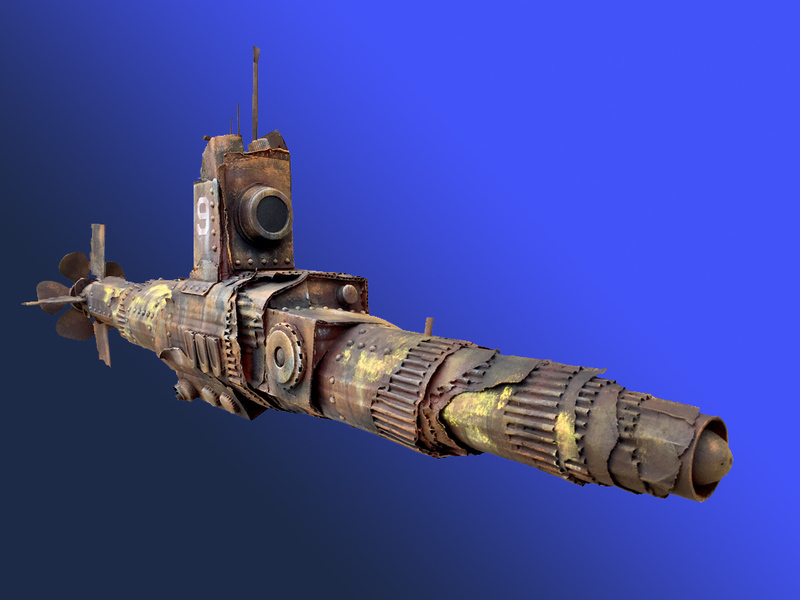 Built from discarded and surplus items. Built from repurposed wooden chair and surplus parts for Orlando’s Red Chair Project. 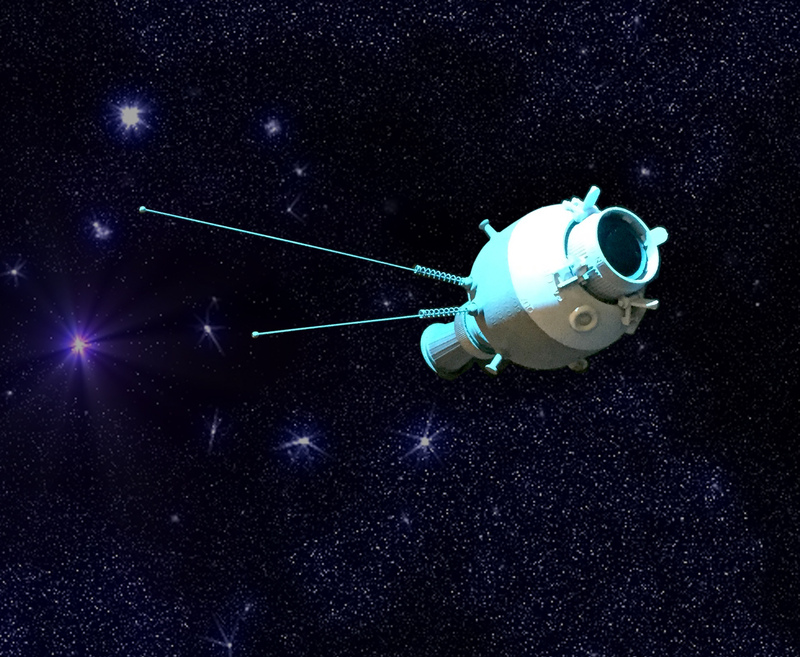 Constructed completely from garbage for OSC Space Junk exhibit. 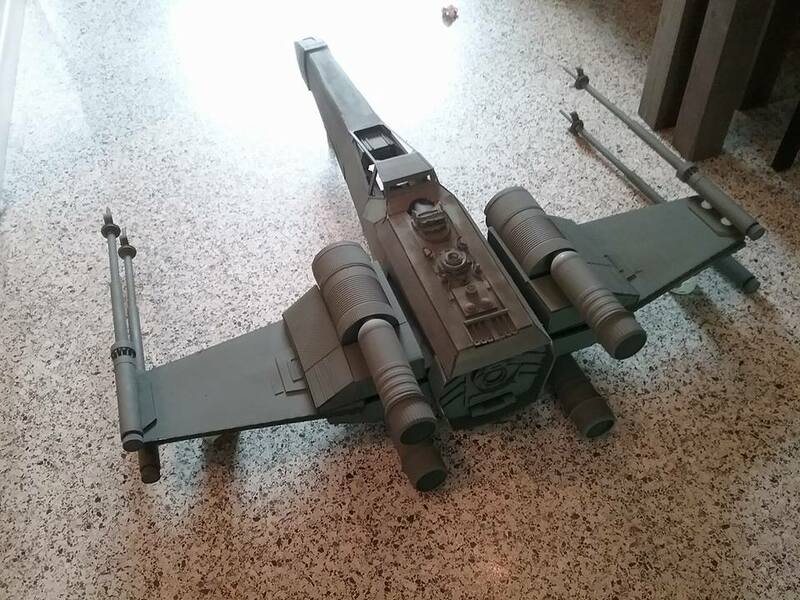 Constructed entirely from surplus parts and dumpster finds. Constructed from reclaimed cardboard and detailed with discarded lids, bottle caps, mardi gras beads, towel tubes etc. 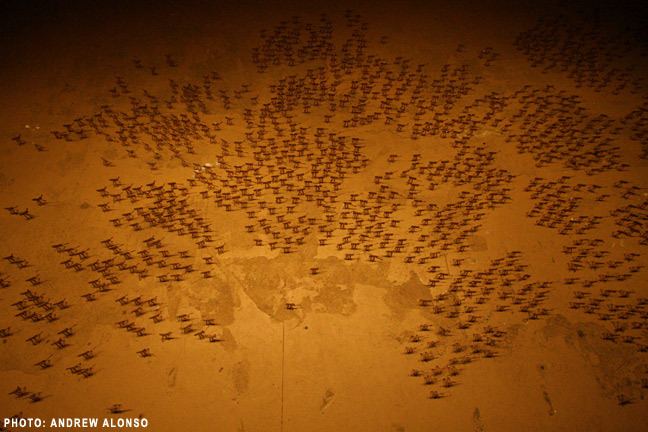 MIGRATION – 4011 matchstick camel-like animals arranged in a massive, miniature migration. 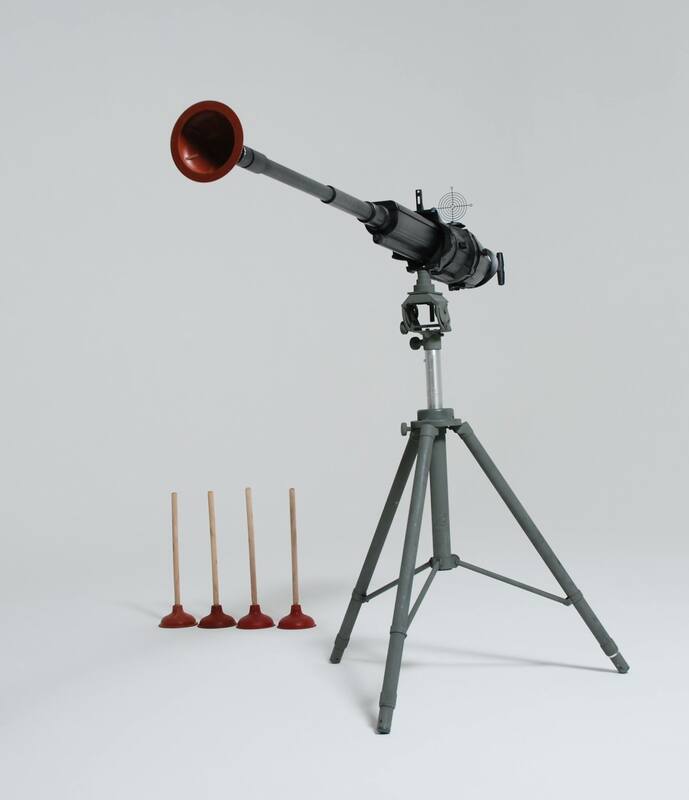 Constructed from card stock and foam board to blow in the wind. 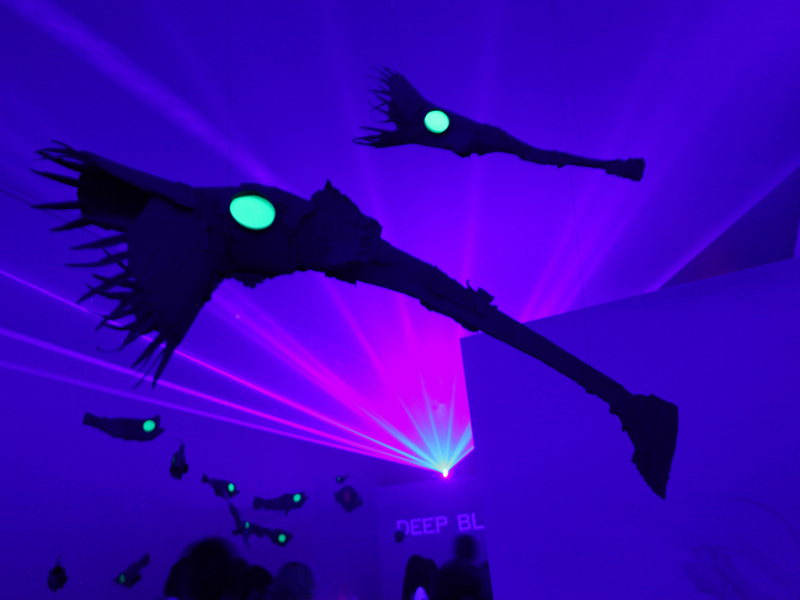 Built from sheet styrofoam and foam board and lit with dozens of glowsticks. 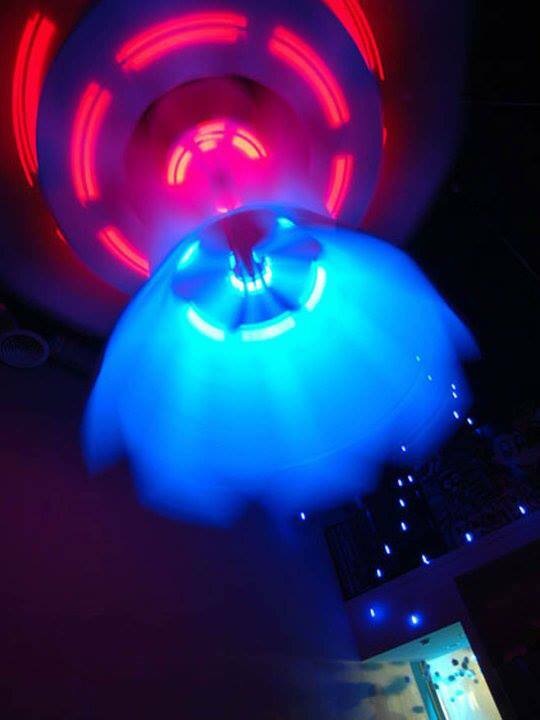 The entire structure was powered by fans to spin in space. 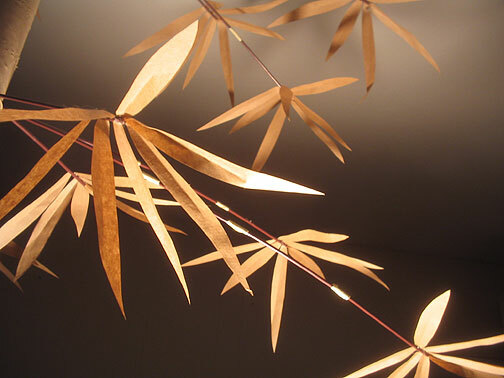 14 bamboo trees were created from toilet tubes and paper towel tubes and fitted with soda straw branches adorned with tens of thousands of hand cut paper leaves. 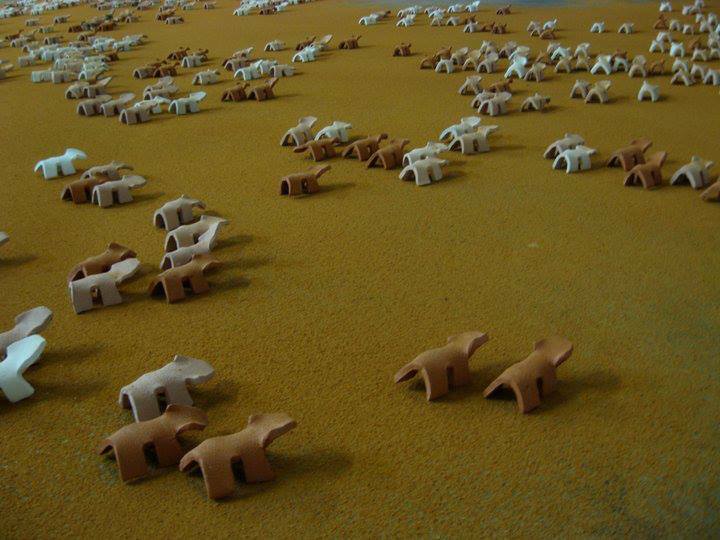 MIGRATION 2 – 2000 badger-like clay figurines made their way through the entire studio of SAY IT LOUD. Tens of thousands of paper bag mushrooms planted by myself and hundreds of individuals, schools and organizations throughout the world. 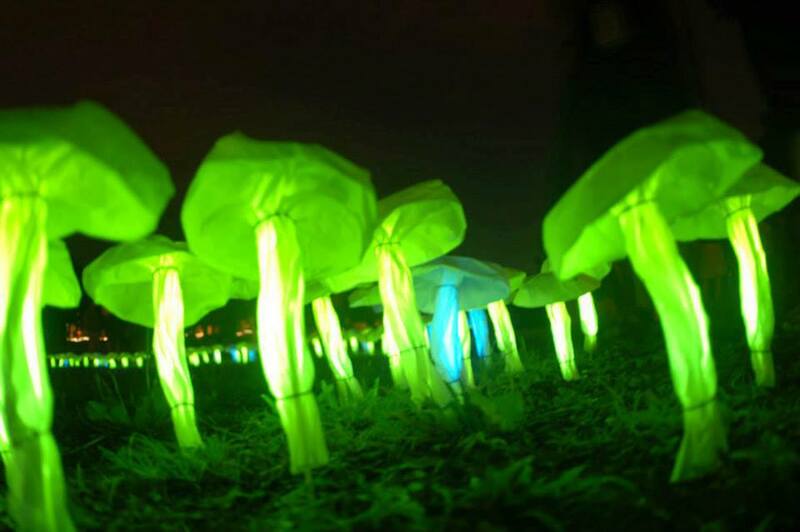 500 mushrooms made from white lunch bags fitted with glow sticks. 41 painted steel german folk pants running somewhere. DESICCATION – Dried leaves, twigs, seed pods reconstructed into dried octopi, fish, mollusks and other ocean dwelling sculptures. An exact representation of stonehenge made entirely of both family and personal sized soaps. Part of a group exhibition for the grand opening of bay two. Constructed from sculpey, plastic and fabric. 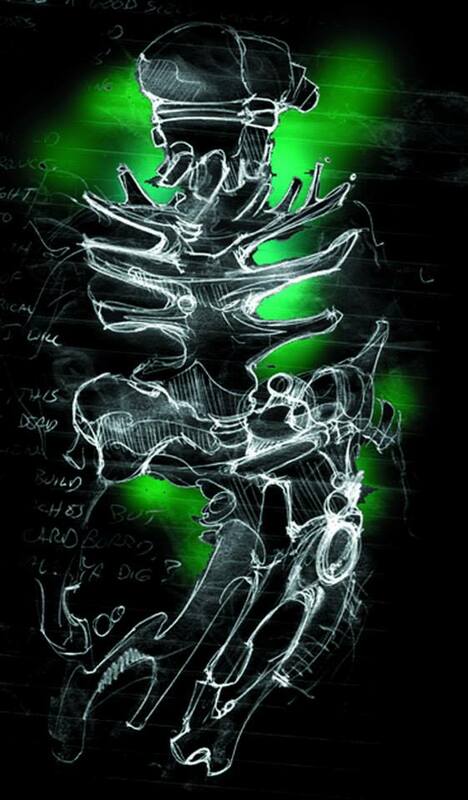 Concept drawing for alien based attraction. 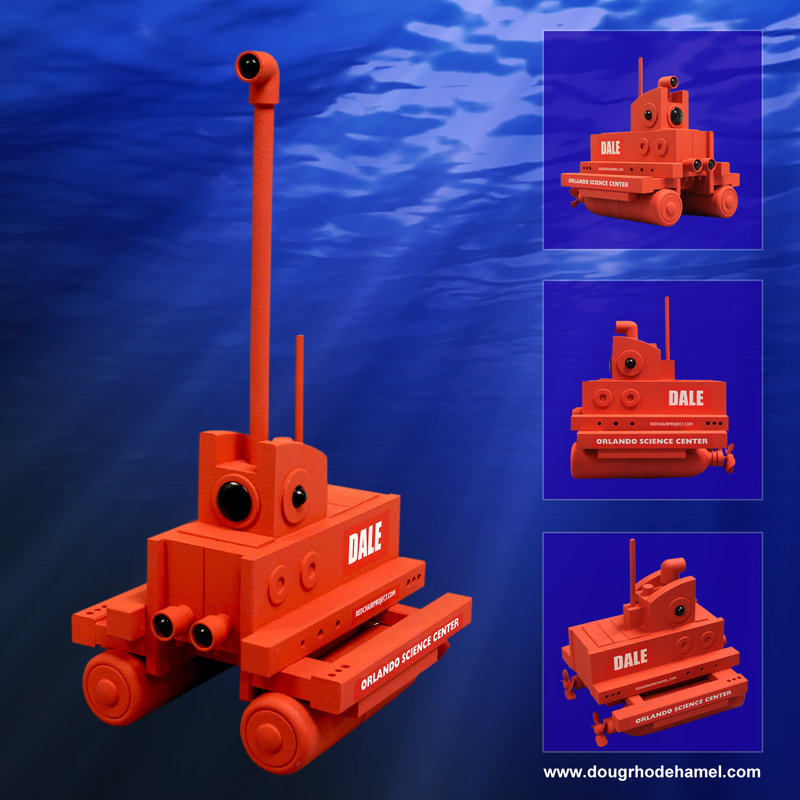 DEEP BLUE – creepy, spooky, bitie and glowie. DEEP BLUE was loaded with many many many scary hand crafted fish of all sizes and shapes created completely from discarded cardboard. discardboard. Constructed from reclaimed cardboard and PVC tubing. If that wasn’t enough, here is everything I’ve ever done with a lot more information and photos! 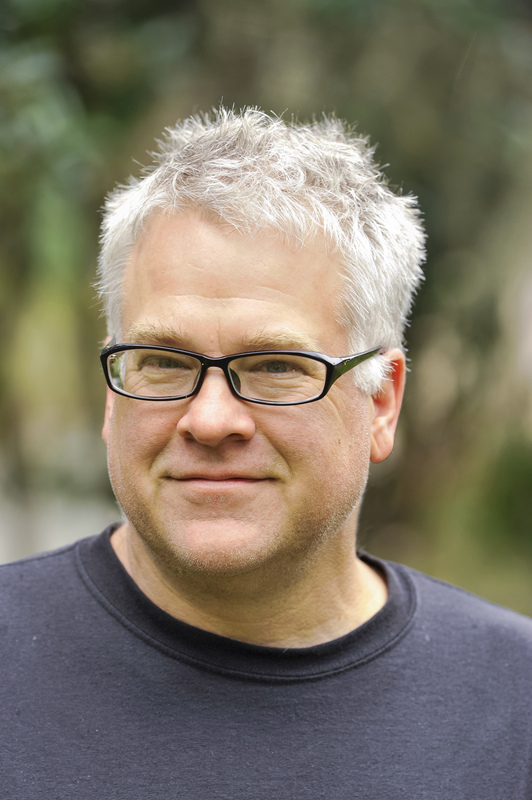 After a few years of prepping, measuring, praying, kicking and screaming… I’m about to begin on the most difficult, challenging and adventurous project in my life as an artist…. 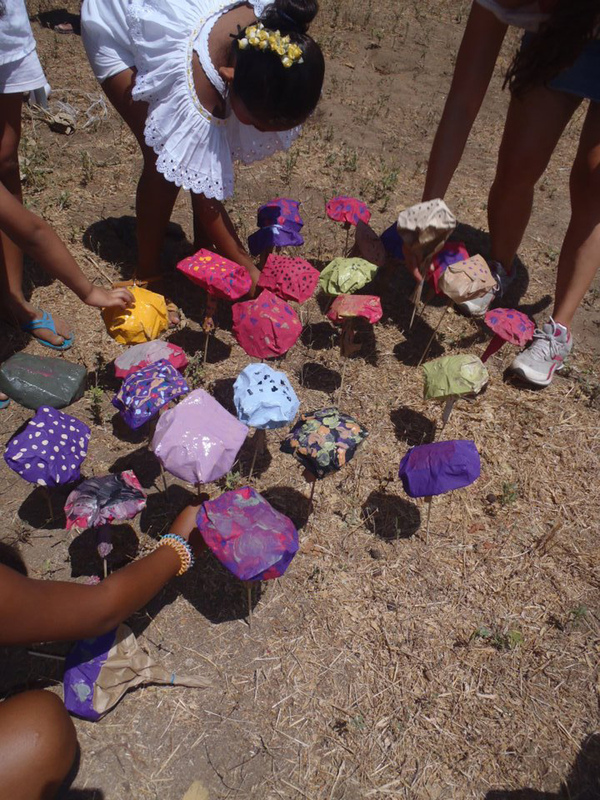 for the past several years, individuals, classrooms and organizations around the world, have constructed and planted thousands and thousands and thousands of paper bag mushrooms in support of creativity and art education! help us out this spring as we continue to spread the project even further! 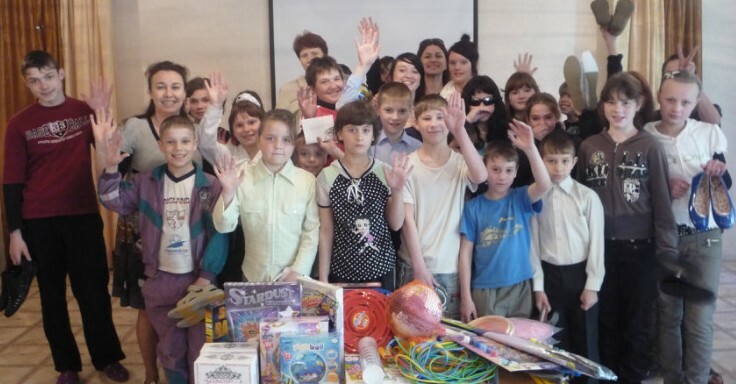 This summer, the SPORE Project is going to Ukraine to participate in summer camps for orphaned children. since 1999, I have been making and installing mushrooms made from paper lunch lunch bags. on march 28, 2013 i created my 50,000th paper bag mushroom LIVE on stage. 7 artists create a weekend of cardboard creations, food, music, entertainment and complete mayhem! after 11 years in storage, the award winning frankenshow is back with all your frankenfavorites: frankencork, frankenpants, and the lovable, grotesque frankenpuppet! 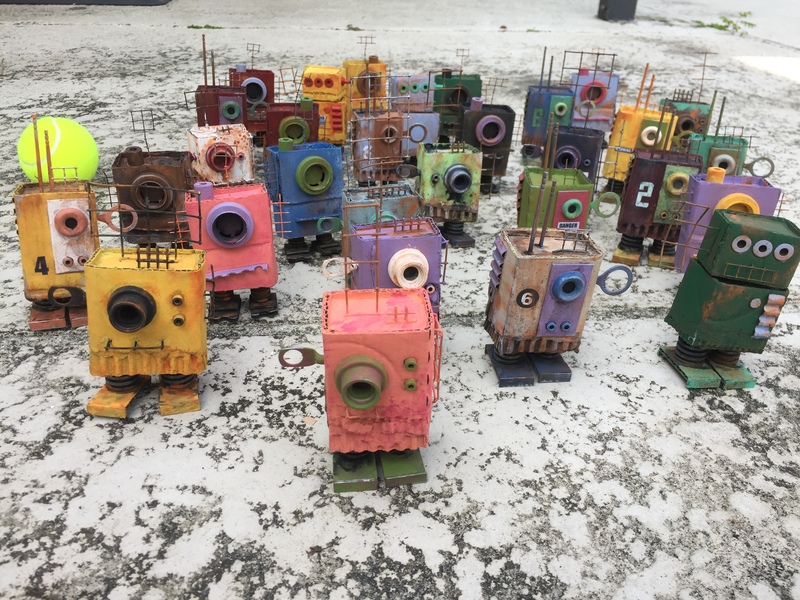 an installation at inyo pools headquarters of 100 or so large, fish made from discarded parts and pieces. i rented the tallest ladder in the world to do the job. 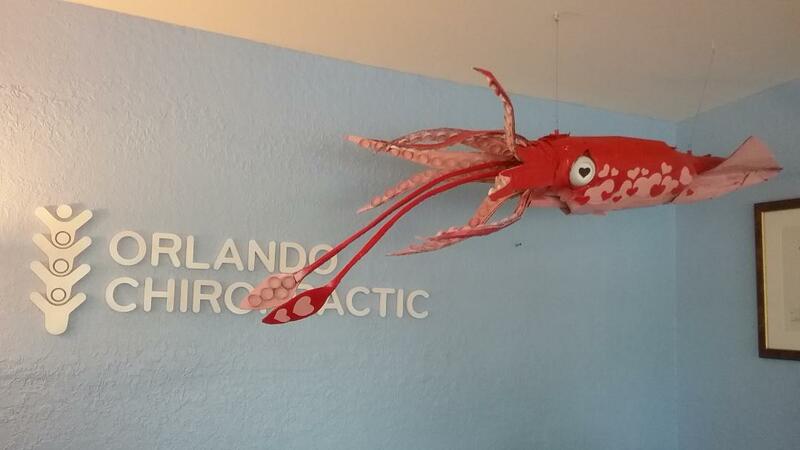 one extra large mobile built completely from discarded cardboard on permanent display of the orlando science center. doug rhodehamel and les jarvela create a peep show showcasing floating glowing mess of ghost-like entities for rob reedy’s birthday. 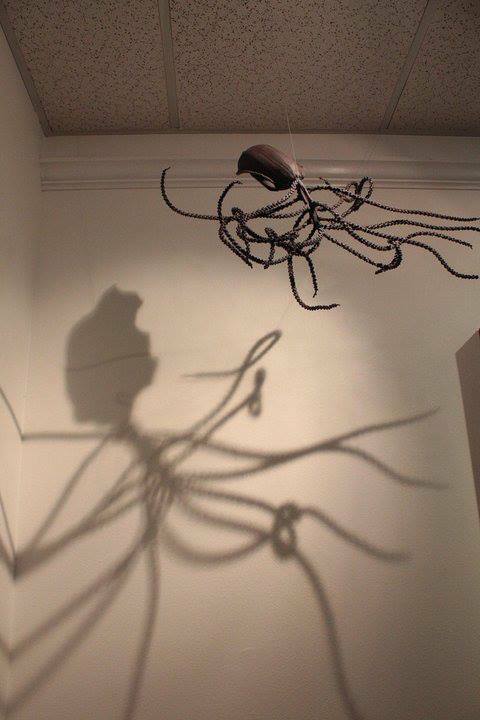 maitland art center’s ‘culture & cocktails featured my latest installation, BLUMP… part jellyfish, part blimp, part glowing, part large, completely wonderful. 18 years of fish ornaments! a celebration of the most magical food ever invented! BACON! The Experience will tickle, tantalize and overload every one of your bacon sensory organs! 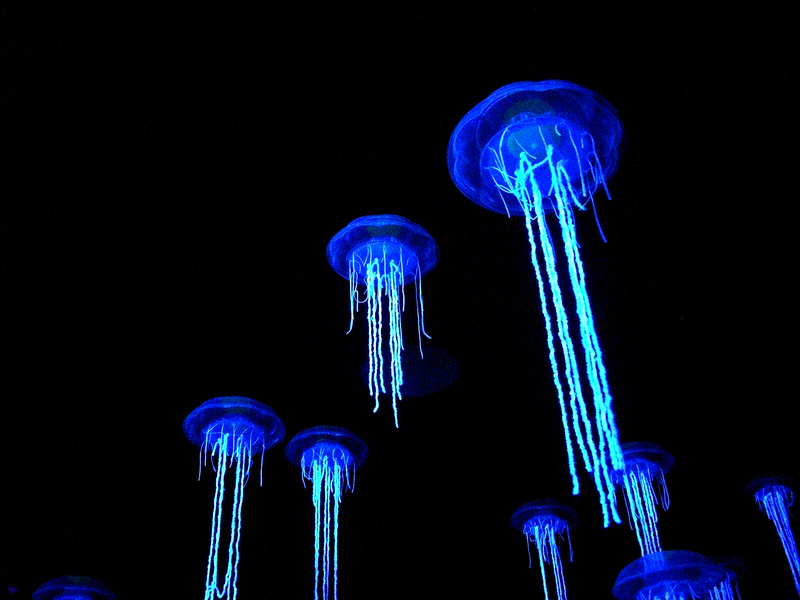 immerse yourself in a pool of glowing jellyfish. this installation is created entirely of recycled materials. i have saved the environment again. 50 states in america, you might live in one of them. 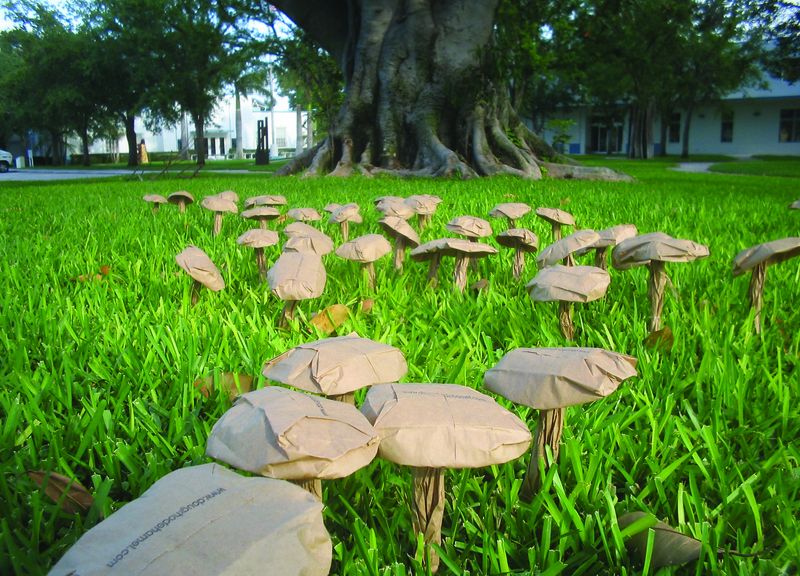 do your part as an american and plant a nice crop of paper bag mushrooms all in support of art education and creativity! an entire collection of deep sea creatures is created using dried exotic plant matter gathered from Leu Gardens over a four year period. using little more than painted, discarded cardboard, the lake eustis museum of art is transformed into a virtual aquarium. 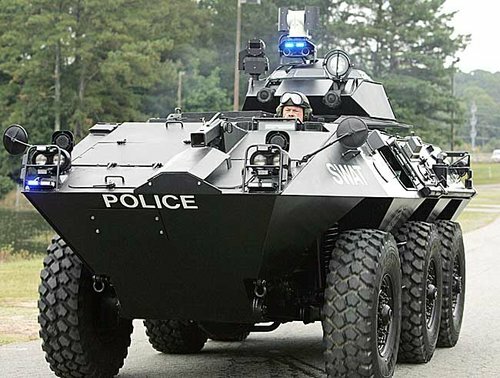 doug rhodehamel tours central florida one resident at a time while living in a very modified cardboard box. a living, breathing, art installation and performance featuring magical movements, mushrooms & illuminations. performed at the 2010 orlando FRINGE festival. i exhibit 4 bathyspheres along side a whole bunch of great work from about 30 or so local artists. it’s also my birthday. i turn 41.
creepy, spooky, bitie and glowie. DEEP BLUE was loaded with many many many scary hand crafted fish of all sizes and shapes created completely from discarded cardboard (discardboard?). cows and cows and cows and cows and beans and wieners and music and stuff. the ever so clever and funny to laugh at fostercows! 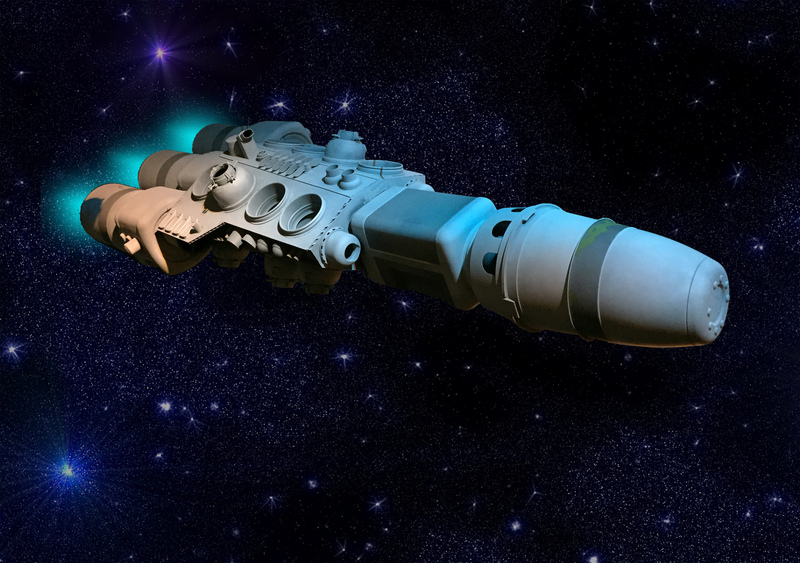 designed by doug rhodehamel and dan lantz in 1986 while bored in mrs. foster’s geometry class. installation featuring a large thundercloud made from miles of discarded cassette tape. a collaboration with voci modern dance featuring jellyfish made from discarded items and large umbrellas as well as an installation of large paper fish. 1,000 jellyfish constructed from a variety of discarded and surplus items – water bottles, plastic containers and other parts and pieces. the following is a collection of some of my favorite mobiles. an installation of 41 found objects resembling running german folk pants. made from painted steel. the second in the migration series, this installation featured a collection of 2000 badger-like clay figurines and was sponsored by united arts of central florida. an inflatable landscape of undulating illuminated latex tendrils. 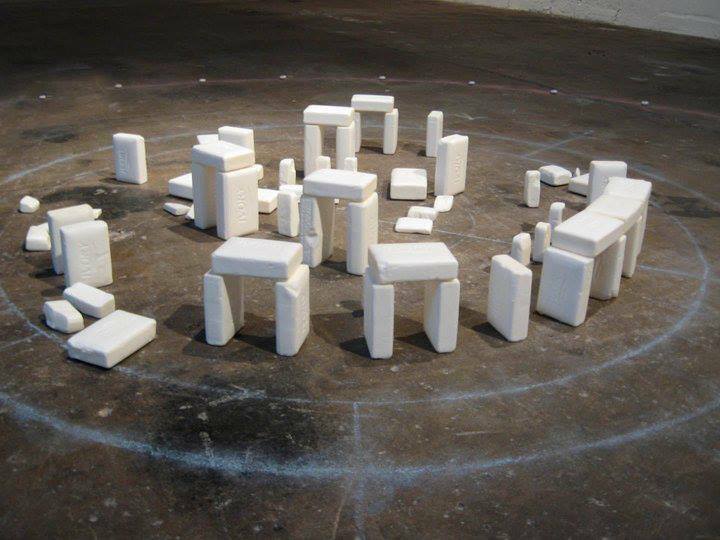 a representation of stonehenge made entirely of both family and personal sized soaps. part of a group exhibition for the grand opening of bay two. 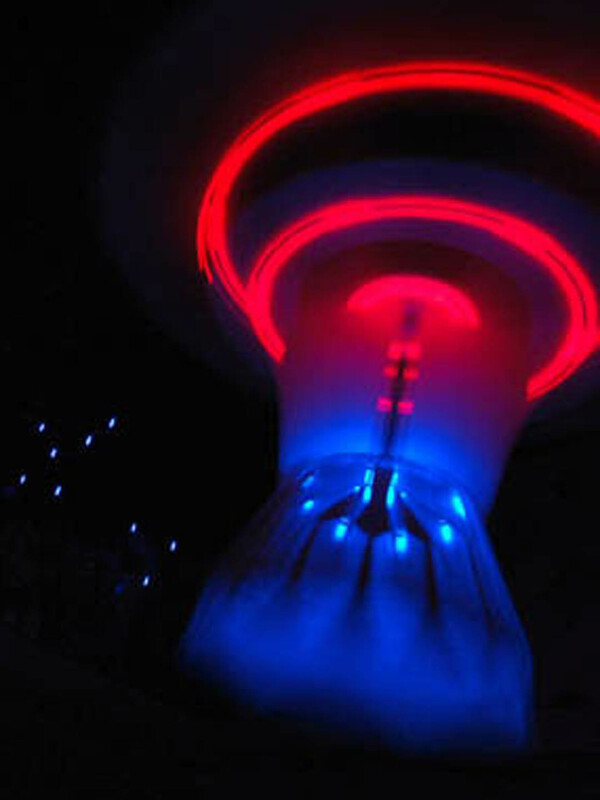 one really big spinning ufo. 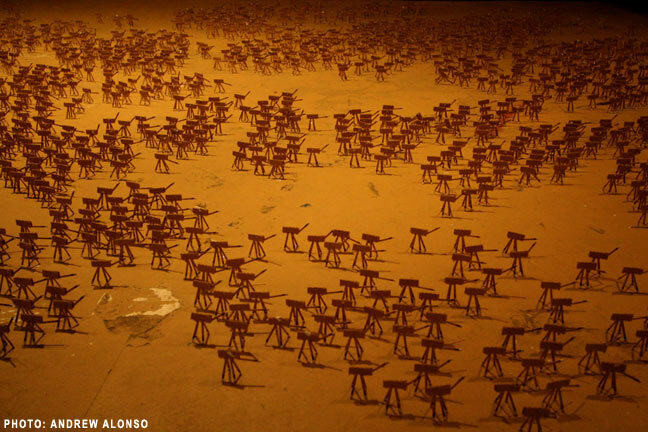 4011 matchbook camels arranged in a massive miniature migration. a suspension of fish featuring one unfortunate guppy. 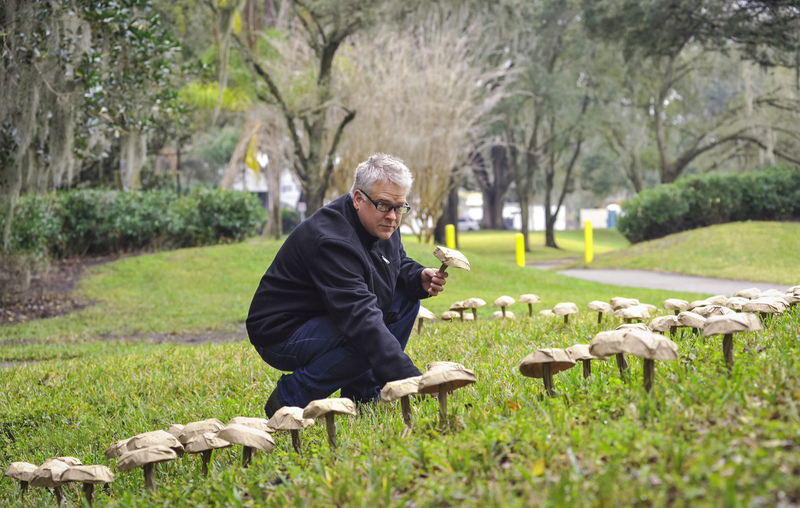 10,000 paper bag mushrooms installed across the lawn of loch haven park to promote awareness for the support of art education. a giant thank you to everyone who helped plant them! a benefit featuring over 60 paper bag mushrooms creatively modified by orlando’s finest artists, musicians, politicians, writers and other noteworthy peeps. evil illustrations by doug rhodehamel followed by pickle juice people and their pets. a miniature sculpture garden featuring the works of frank gady, kim jones, rachel lloyd, megan paquette and doug rhodehamel. 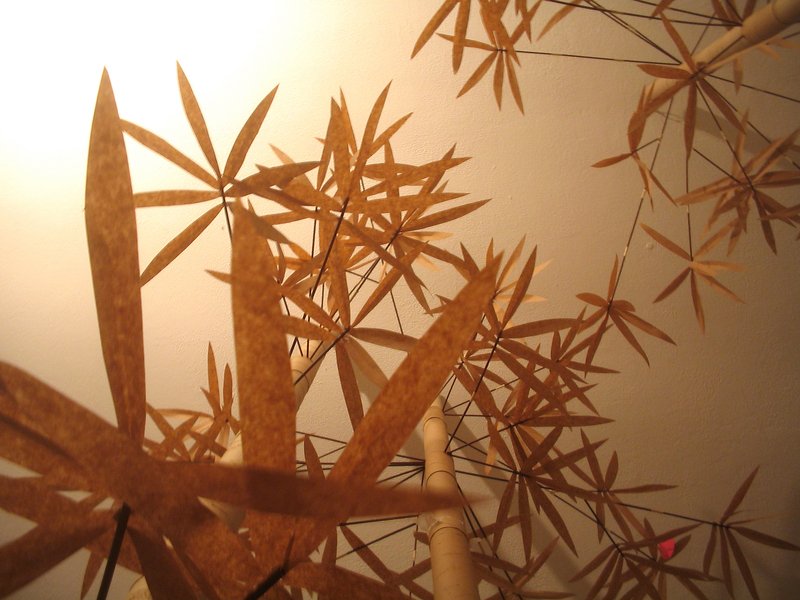 a entire bamboo forest constructed from paper towel and toilet paper tubes, coffee stirrers and 4,410 hand cut paper leaves. large drawings ranging from a couple ghost to a migration of turtles… painted with a wash of coffee and coated with polyurethane. large drawings ranging from a squid with glasses to a cluster of abe lincolns… painted with a wash of coffee and coated with polyurethane. a reflief effort for tsunami victims presented by brett bennett and doug rhodehamel. wine, cheese, art, furniture and a handful of artists displaying their work. i made mobiles. 18 feet of styrofoam goodness! the entire structure was illuminated with 50 glowstick giving it a slight ghosty appearance. 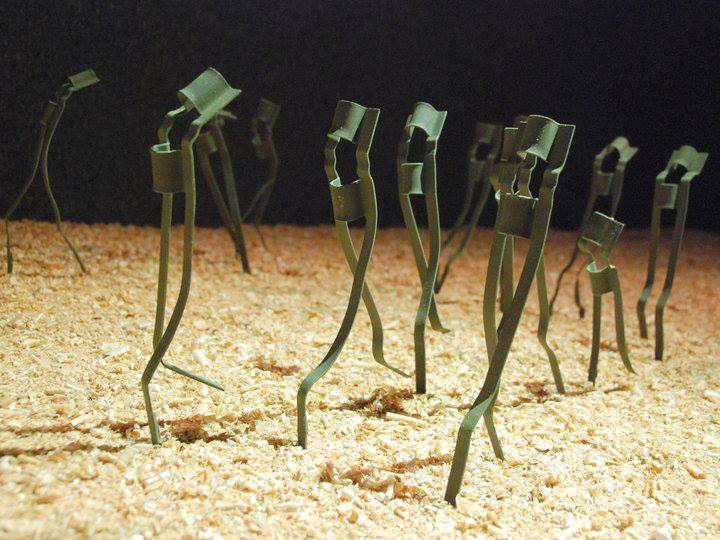 21 miniature mobiles were hung in the main room just days after hurricane charlie turned orlando into a massive salad. As most people were still without power during the first reception, a second one was held a couple weeks later… this time with working AC and beer coolers. invented by kim jimenez – directed by doug rhodehamel – presented by babaghanoush. A collaborative effort by many many many local artists featuring all that is egg . Below are my egg sculptures and mobile from the show. mobiles, tintinbabulation, books and booze. 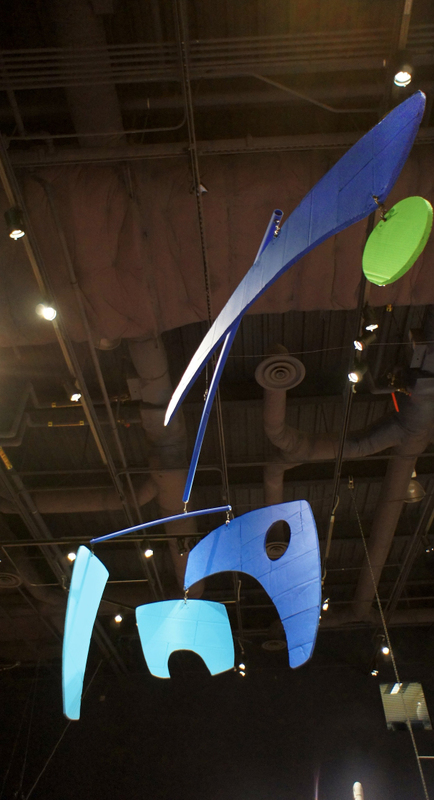 a nice collection of chiming mobiles built from painted plastic and aluminum tubing. a nice bright collection of mobiles made from painted sheet plastic. dad bought a bunch of pizza and fed everyone. 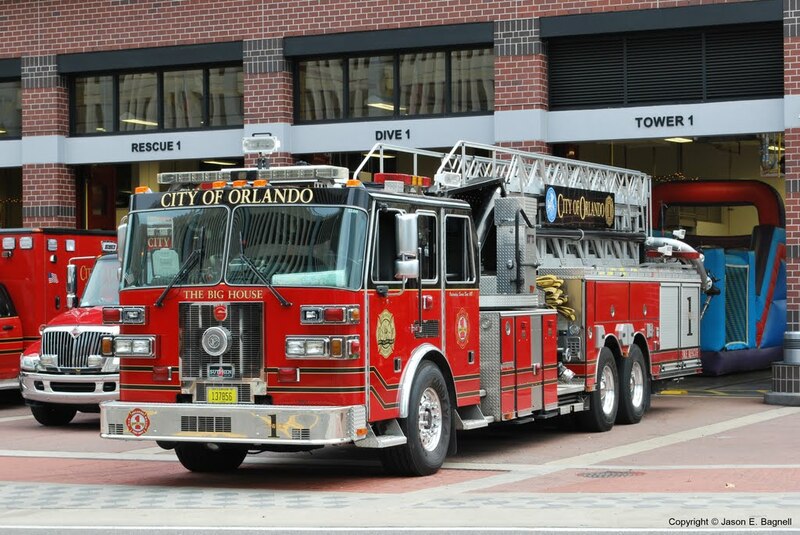 handmade paper constructed with bits and pieces or what makes orlando…orlando. a variety of mobiles from fishies to ufos. many became permanent fixtures of the store… for awhile. colorful paintings of spooky deep sea dwellers in fabulous 3D. art that hurts! 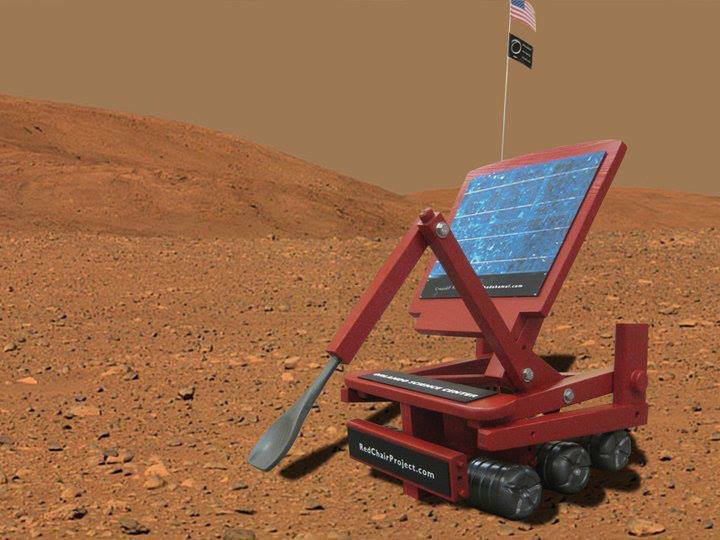 mobiles that maim! killer kinetics and koffee. mobiles with a dangerous twist. you will scream…you will laugh…you will drink coffee… gaze in horror at a collection of 13 of the most frankensteinist things ever assembled! coat hanger stories consisted of a collection of mounted coat hangers found in parking lots, presumably once used to unlock cars. stories based on the experiences of the unknown coat hanger users were written by local writers jim crescitelli, liz langley, charles martin, steve schneider and vivien thorp. DOUG RHODEHAMEL BUILDS STAR WARS!! After a few years of prepping, measuring, praying, kicking and screaming… I’m about to begin the most difficult, challenging and adventurous project in my life as an artist…. 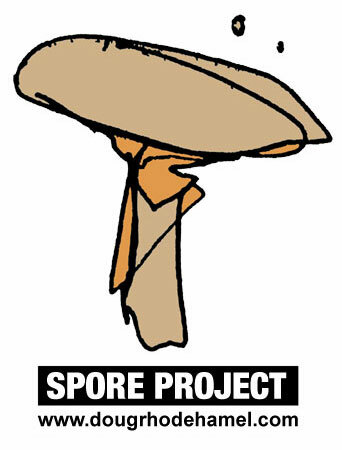 Welcome to the SPORE Project! Turn your paper lunch bags into art and take part in the largest art installation in the world! 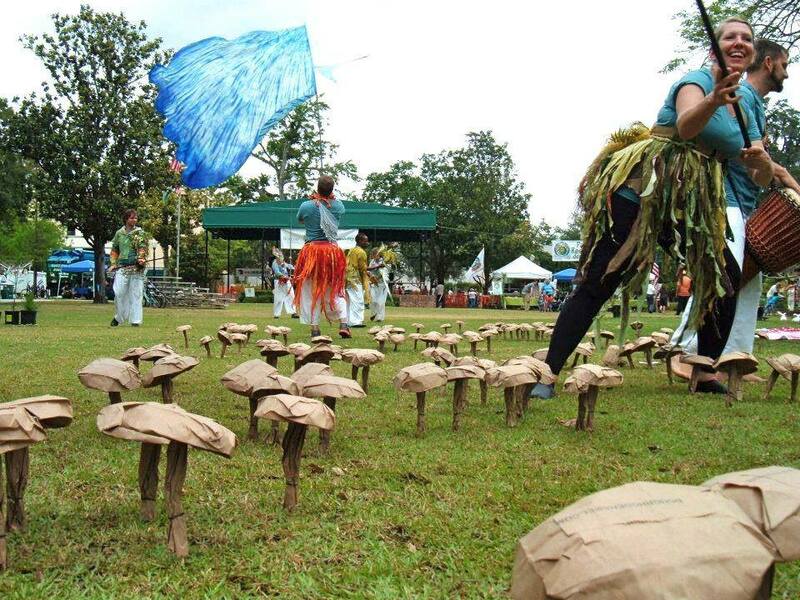 Thousands and thousands and thousands of paper bag mushrooms are being planted around the world! Show your support for creativity and art education! on november 14th i will be turning 45.
here are 2 things i’ve wanted to do for awhile. if anyone out there can make either or both things happen i would be every so grateful and happy. 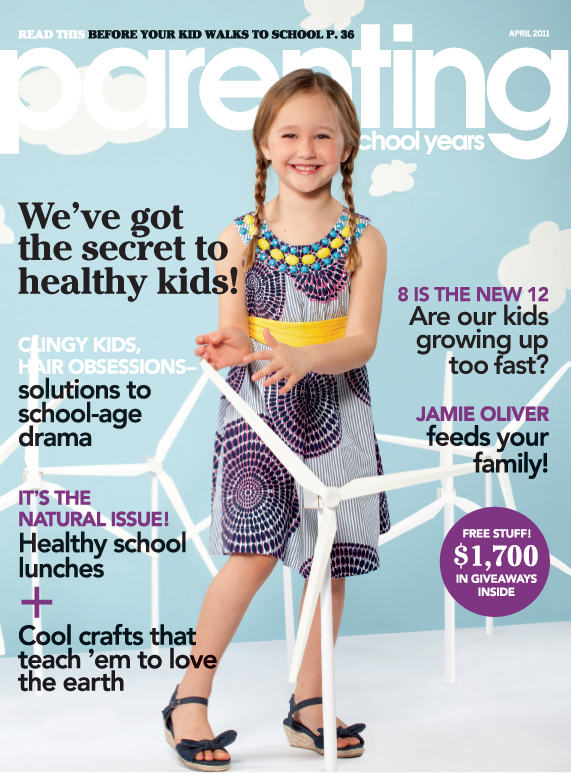 i think i might have made this same request when i was 8, but i still would really enjoy it! 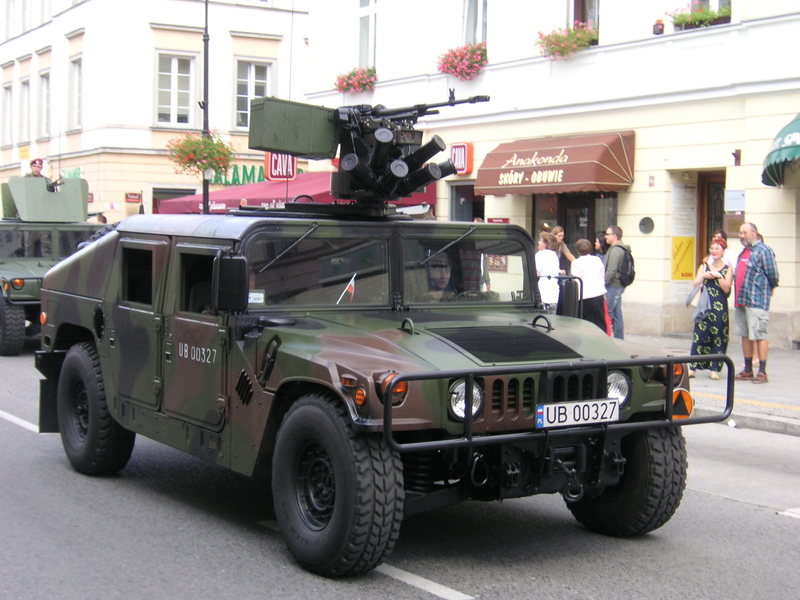 1. i’ve always wanted to ride around the block in a fire engine and play around with the siren and horn. 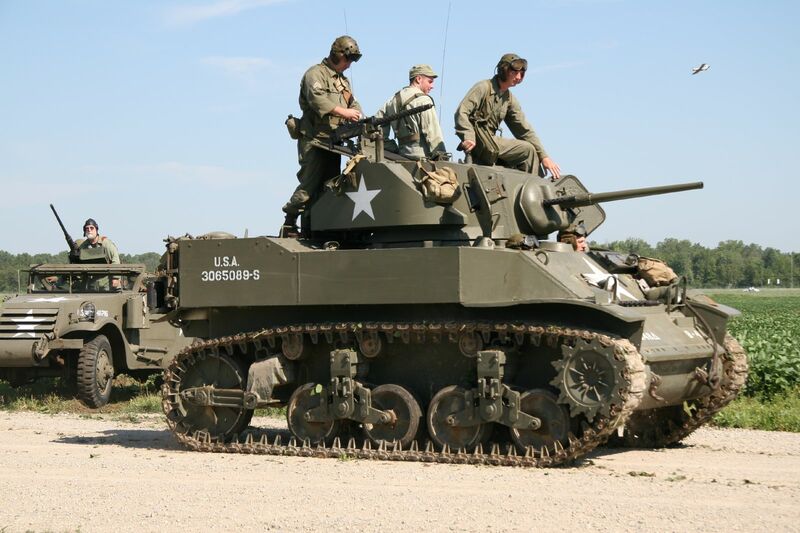 2. i’ve also always wanted to ride around in a tank. 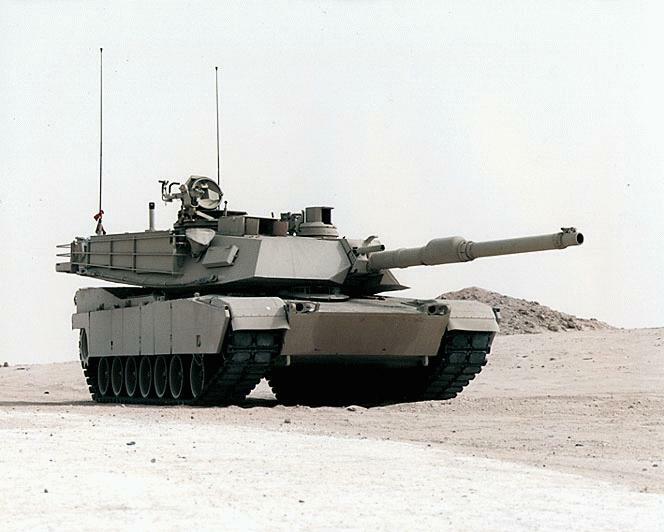 …not to be confused with an armored vehicle which are not tanks. A HUGE thank you to everyone who donated or helped us to raise money for this project! The SPORE Project is off to Ukraine to participate in summer camps for orphaned children. I am currently working in conjunction with a member from Hope4Orphans and Northland Church to help send a few volunteers to Ukraine on June 16th. Through several week long summer camps, they will be providing arts and crafts and paper bag mushrooms to hundreds of orphans. Since 1999 I have been crafting and installing mushrooms made simply from paper lunch bags. 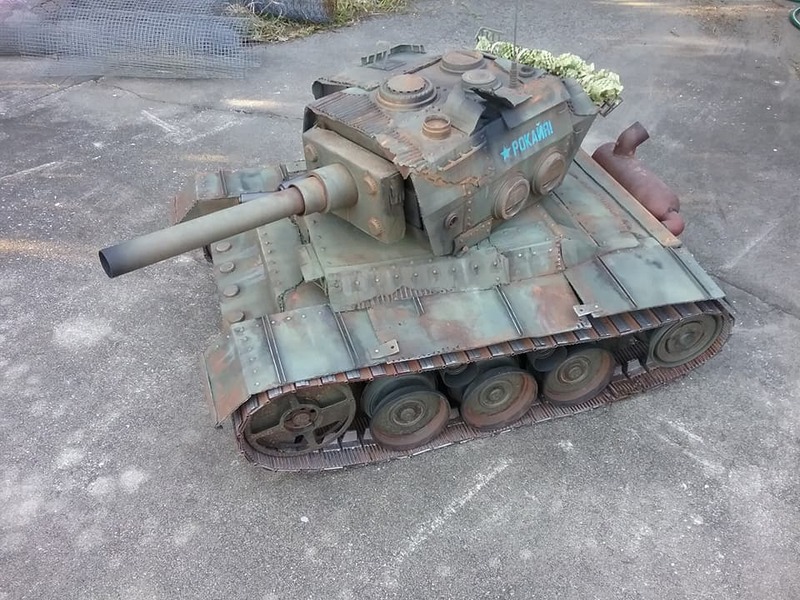 It is a fun little project that shows how something can be made from nothing. The SPORE Project was created in 2005 to promote support for art in schools and to illustrate the importance of creativity in everyday life.